You. Dave Grohl. A dark movie theater. WINK. 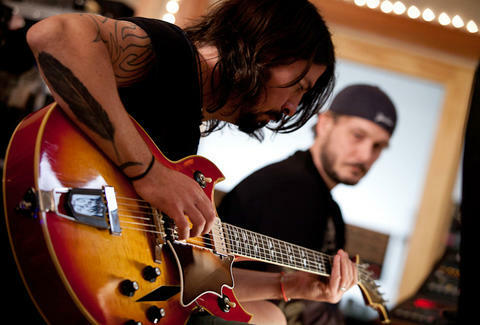 Screening next Wed night only at the Mayan, this Dave Grohl-directed rock doc chronicles a now-defunct LA recording studio where Nine Inch Nails, Nirvana, and Rage Against the Machine all seshed before Auto-Tune was even a glint in Katy Perry's eye.